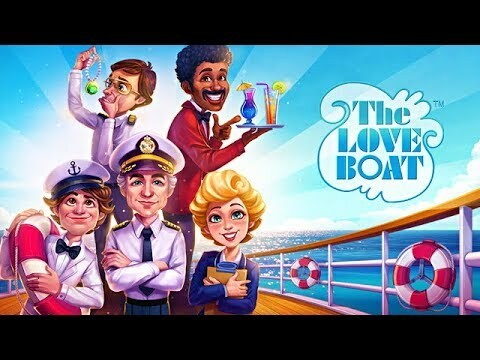 "The Love Boat is a fast-paced Time Management game with a lot of details to enjoy. People who are familiar with the show will identify with the characters, but I could see players enjoying this without knowing anything about the original story. And the nostalgic music is fun!" The Love Boat is back and better than ever. Cruise down memory lane and relive the famous TV show of the magical 70's and 80's. Remember the days you drifted away with Captain Stubing, Julie, Gopher, Doc and Isaac? Relive those good old times in on another spectacular cruise. Enjoy romance and comedy as you keep up with the cast and all the passengers, including Emily and Angela from the Delicious and Fabulous series. Visit beautiful locations and catch that true holiday vibe in six exotic chapters. Featuring 60 enchanting levels, 30 extra challenges, and adventures filled with humor and romance, anything is possible on The Love Boat. I found the game very engaging and the script was great! The characters reminded me of the real people and the food looked delicious! This game is fun. It has lots of levels and is enjoyable. It's very much like the Delicious Emily game collection. If you like that, you will enjoy this game. Similar to the Emily games and she is in the game, but you are using the characters from the Love Boat to serve the customers. It is a very cute game that is very similar to other games I enjoy playing. I like the game. It makes you feel like you are with the people on holiday. This Time Management game is loads of fun. Full of surprises and mini games. I love it and you will too! It's like being on the show. Just ask Gopher for whatever you want. Doc is around too. It's fun. Love this game. Fast playing, not boring and keeps me on my toes. Lots of levels and well worth playing.